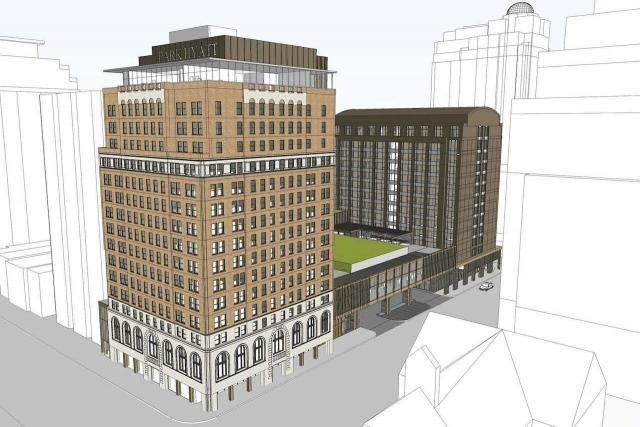 Oxford Properties is restoring Toronto’s Park Hyatt Hotel with two buildings and a new multi-level connecting podium at the Avenue Road and Bloor site. 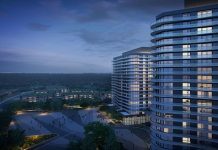 The the global real estate arm of OMERS says in a statement that plans to create 65 rental apartments at Two Avenue Rd., the site’s heritage South Tower, 40,000 sq. ft. of retail and restaurant options throughout the complex, and a 219-room Park Hyatt hotel in the site’s North Tower. 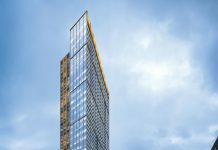 “The heritage-designated South Tower will be completely retained and restored, making it the first high-rise in Toronto to be totally retained in an adaptive re-use project, preserving it for generations to come,” the statement says. The project is slated to re-open in early 2020. KMBP Architects is designing the structures, with interior design by Studio Munge. Heritage restoration is co-ordinated by ERA Architects. The connecting pathway between the north and south towers will be replaced by an expanded multi-level podium that will house the hotel lobby, a ground-level 10,000 sq. ft. restaurant with a roof deck overlooking Yorkville, and 14,000 sq. ft. of meeting and event space, including a new, 600-person capacity ballroom. The complex will also feature 20,000 sq. ft. of retail in the restored heritage South Tower with 100 feet of frontage along each of Bloor Street and Avenue Road. The retail space will comprise two floors of 10,000 sq. ft., with the second floor enjoying double height ceilings that give the opportunity for 30-foot clear heights with a mezzanine level.